When you decide to join a multi-level marketing (MLM) or network marketing business, you probably have hopes of making some decent money. Some companies will claim that you can make huge profits and get rich, but the reality is likely to be that at most you will create a good part-time role or side hustle for yourself. Even though you might not make a fortune from MLM, you can still make a good go of it and find some moderate success. However, to do so, you need to be able to market yourself and the products you have chosen to sell. If you want to be able to market a product well, you should choose one that you're passionate about. If you're invested in the product and are willing to use it yourself, you will be more enthusiastic and genuine when you're selling it. There are all kinds of products you could be selling, although many of them could seem the same. MLM businesses often sell things like makeup, essential oils, wellness products and other similar items. You should spend some time finding something that interests you and that you're happy to promote, both in terms of what it does and the values behind it. If you've never done any MLM company marketing before, you could get started by giving yourself a crash course in marketing knowledge and techniques. While putting your knowledge into practice will help you out eventually, you should try to begin with a foundation of basic skills to get you started on the right foot. You could pay for a course, but there are also plenty of free resources that can help you out. You can find free online courses, blogs and more that will teach you a lot. 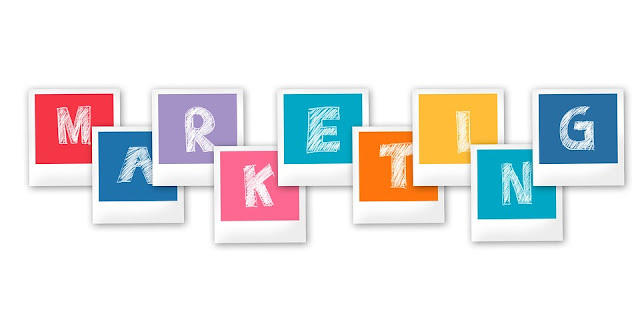 You should be using a range of marketing tools to get your product out there, from a website and social media to events and telephone marketing. People can often be resistant to buying from or working with network marketing businesses, and with good reason. Some of them produce less than quality products, while others are outright scams. However, it's important to remember that the same could be said of any business. If you want to try to avoid the bad reputation that the MLM sales representatives often get, make it your mission to be genuine and open and to conduct yourself ethically. Part of your role is to provide good customer service, and the company you're working with won't want you to misrepresent the products or the brand in any way. Be honest and upfront, and follow through on any promises you make. It's essential that you know who your target market is. A lot of people start off with an MLM business assuming that everyone is a potential customer. They immediately start marketing to family and friends, who might not be at all interested. You need to understand your target market and who you should be approaching. Fortunately, you should have at least some help with this from the parent company. However, you will still need to do some of your own research to make sure you understand who you should be marketing your products towards. It will help you avoid wasting time and money approaching people who aren't interested. Whenever you market a product, you don't want to set out to do it without having any targets or goals. If you set goals for yourself, you'll then be able to plan better, and you'll push yourself more to achieve things. By setting goals of how much you want to sell or how many leads you want to collect, you can work out how many people you need to invite to an event or how many to try and add to your mailing list. It helps to start getting interested in numbers and metrics, whether it's how many sales you can expect to make at an event or how many people read the emails you send out. It's understandable that when you start direct marketing, you might begin by following the letter of the information you are given. It's easy to get familiar with the product that way, and it gives you some guidance to help you pick up some steam. However, as you get more comfortable, it's a good idea to tailor your approach to make it more personal. You can start small, perhaps by handing out personal branded business cards, like the ones at https://www.tankprints.com/doterra-business-cards-s/1888.htm. You can also take a more tailored approach by listening to what your customers want. Adjust your marketing to match your market, instead of sticking to the script. It's likely that you're not the only one in your area selling a particular network marketing product. Even if it's not the same brand, there are probably others selling something similar. So how do you convince people that you have a strong business reputation and that they should buy from you, and not with other competitors in the region. Finding a way that you can stand out from other MLM opportunities is an important part of doing this. You need to create a personal USP (unique selling proposition) that makes you different. Maybe you can come up with a fun event, put together some packages or offers, or just find a fun approach to communicating with people. If you want to successfully market your business and stay financially in the black, you need to make sure you don't just let leads go dry. Following up is important, whether you've had someone express interest or you've actually made a sale. Make sure you get people's contact details so you can keep in touch with them for MLM opportunties. However, if you're going to be storing any personal details, make sure you're aware of any regulations you might need to follow. You might have a ready-made product to sell, but you still need to have some marketing skills and knowledge. Take the time to educate yourself for better results. Follow these tips and you'll be setting yourself up for an MLM masterpiece! I hope you enjoyed this article about smart marketing moves for Multi-Level Marketing sales and network marketing success. Interested in more articles about improving your marketing?